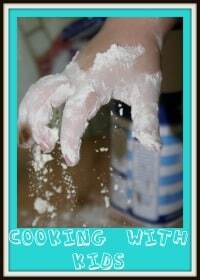 Well, as part of my goals for 2011 I told you I was going to do more cooking with Lilly, and that I was going to join in with the Cooking With Kids challenge being run by Cass at Frugal Family. Well, here we go with the first challenge: cheese straws. As ever, with our cooking sessions, we waited until Isla was having her long afternoon nap and, as the sound of snoring came on the monitor, we donned our aprons and started cooking. 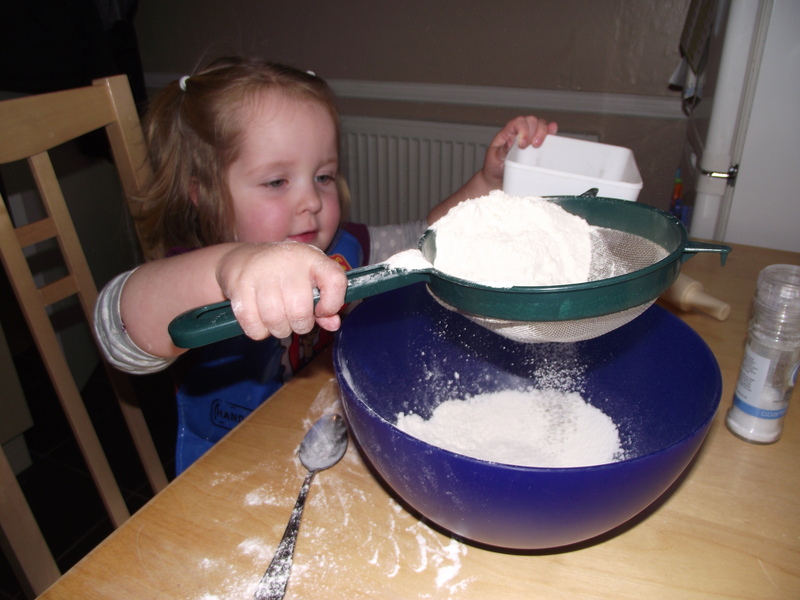 Whether she was fooled or not, I can’t be sure, but she was happy enough adding it, and once we had a dough like consistency, she enjoyed throwing flour all over the table (and floor), rolling out and cutting some shapes. 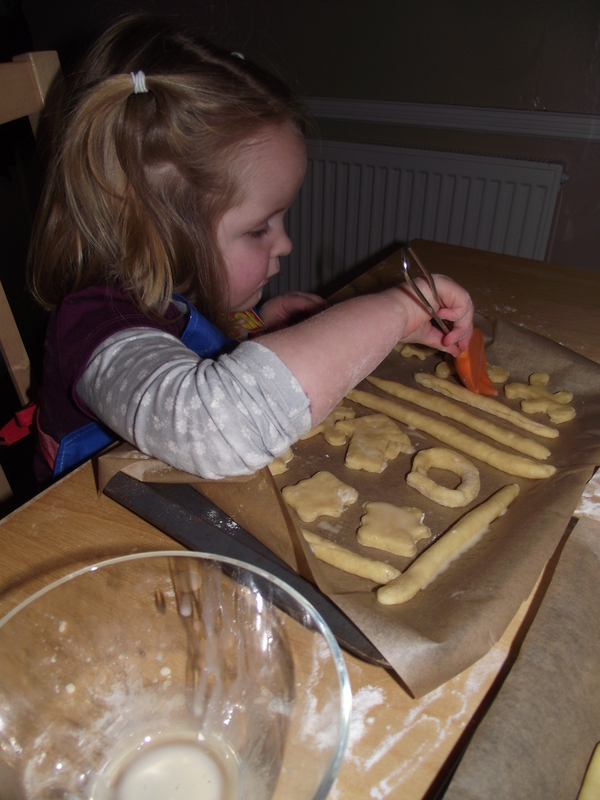 Anyway, Lilly was much better at using the cookie cutters all by herself than last time we used them, and was rather pleased with herself as she cut out little gingerbread man shapes, arrows, stars and butterfly cheesey biscuits. I stuck with making the straws, for a bit of variety. And, I am happy to report that, despite the presence of “hard cheese”, the biscuits went down very well with both of us and have been the snack item of choice in this house ever since. So, if you want to have a go at making cheesey straws (or shapes) yourself, you’ll find the recipe here. 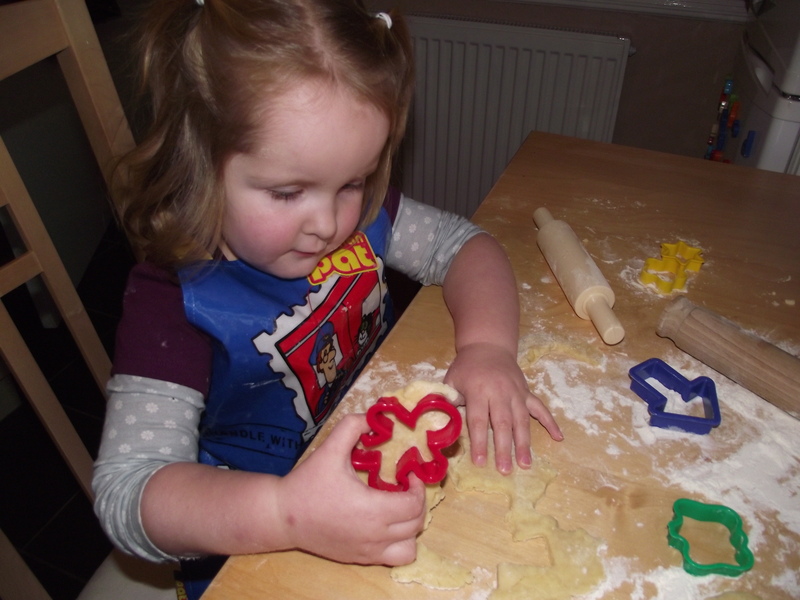 And why not join in the Cooking With Kids Challenge? It’s a really great idea Cas, and I hope we will be able to join in with plenty more challenges during the course of 2011. Oooh yum! we love cheese straws. This was something that I always used to make with my Nan and one of the only things that J makes and cooks! He like to make numbers and animals when we make them. We did this too! They were delicious weren’t they?